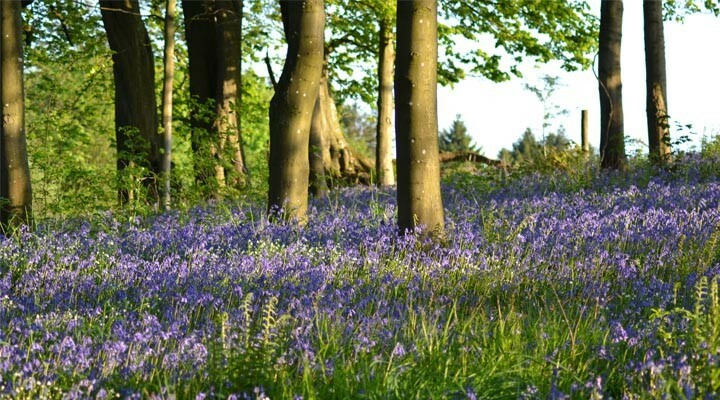 Nature is reaching its finest point at Old Hall Caravan Park near the Lake District, and what better way to enjoy this beautiful season than a homemade picnic? Here, we look at how to host the best spring picnic by taking some inspiration from the classic afternoon tea. We’ll go through some of the more traditional expectations as well as some more adventurous ideas for sandwiches and sides. We’ll even talk you through how to make an amazing cheesecake near the end of the blog, as well as some functional tips and tricks for laying out your spread on a sunny day. We want you to have the spring of your dreams when you holiday with us in our beautiful park. 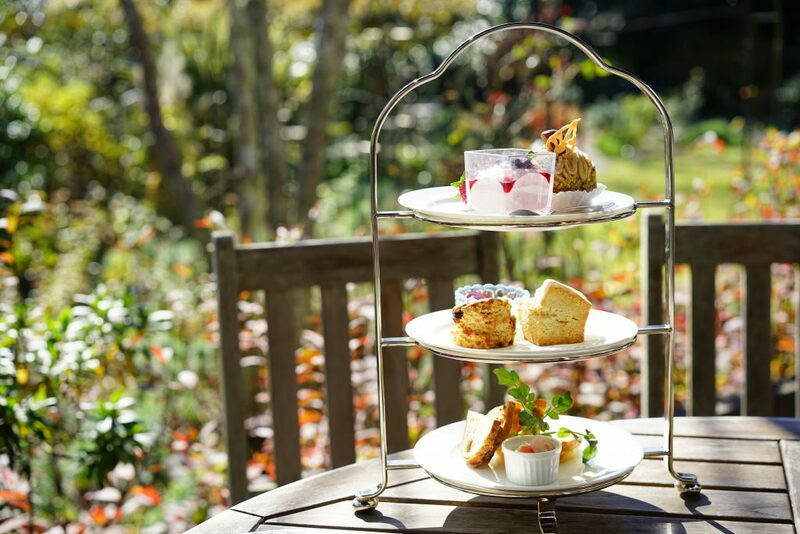 For the ultimate high-class picnic, we recommend replicating the scrumptious banquet of the afternoon tea with a little rustic aesthetic. If you are dining out on your caravan’s veranda then you may be able to use all the typical fine china accoutrements without fear of breakages. For this picnic, however, we are going to assume that you are planning on dipping your toes in the lush spring grass by spreading out the picnic rug. Few sandwiches suggest a sense of class like smoked salmon and cream cheese. These ingredients are a match made in heaven, best served as crust-less fingers on white bread. If one of your guests loves seafood, you will surely please them by adding this sandwich to your menu. For an afternoon tea with an Italian twist, upgrade your cheese and tomato sandwiches to fresh mozzarella and tomato with a few leaves of basil or spinach. The emphasis for these sandwiches is on securing flavoursome and fresh ingredients; manage this and they will be the first to disappear from your platter. The best sandwiches usually involve cheese, and these fig delights are no different. If you have a tooth for sweet and savoury combinations, the Camembert and fig sandwich might be an experiment that suits your tastes completely. Whilst side dishes are not a requirement of an afternoon tea, what would a picnic be without a choice of crisps? Too many crisps can quickly leave your mouth feeling quite dry, however, so it can be a thoughtful gesture to also deck your picnic out with an array of delicious fruits such as pears, grapes, oranges and, of course, some fresh strawberries. This fruit will also be very tasty alongside scones, clotted cream and some jam. You could supply some homemade jam if you have any, but if you’re feeling adventurous then you may wish to buy a mix of tiny jam tasting pots for a little variety. For drinks, tea is an absolute must. 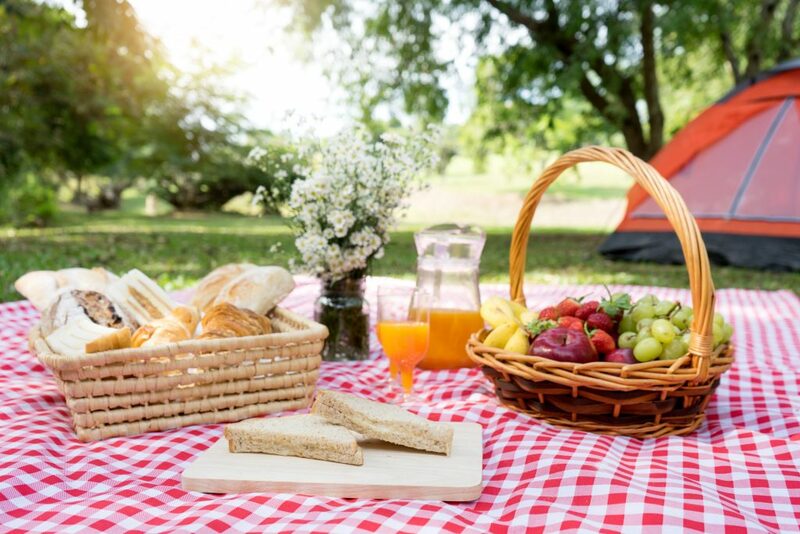 If you are enjoying your picnic on the grounds of Old Hall caravan park, then it won’t be too difficult for you to return to your caravan for top-ups, but if you are hoping to take your picnic out to the Lakes, then you may have to ration the tea from a flask. To add a little excitement to your picnic, you may also wish to consider adding a bottle of Prosecco or Asti Spumante. Keep them in the shade to keep them cool! The Victoria Sponge is a classic, and after all that rich food a basic cake may be more appreciated than a rich one packed with flavour. There’s a lot of scope to make an impression with a Victoria sponge too; we recommend infusing the cream filling with rose water and drizzling rose Monin syrup over the top. We think that fruity cheesecakes are a fantastic way to offset a rich picnic by cleansing the palette. For this reason, we’re going to look at citrus cheesecakes because sharp fruity flavours will cut straight through all the sandwiches and scones that have come before it. For a lime cheesecake, you will need a standard pack of gingernut biscuits and 125g of butter for the base. Bash up the biscuits, stir in the butter, and press it all evenly into a 20cm spring-form tin. Leave in the fridge to chill whilst you prepare the next layer of the cake. For this, you will need three limes for a lime cheesecake, but you can equally swap these out for three lemons or two oranges if you would prefer an alternative citrus cheesecake. Zest your fruit of choice and mix it in with 600g cream cheese, 100g of icing sugar and 300ml of whipped double cream. If you’ve got strong arms, you can whip it up yourself, but most will appreciate the aid of an electric mixer. When all this is combined, retrieve your biscuit base and smooth the mixture over the top. For the glaze, use any remaining zest and the juice from your citrus fruit mixed in with 100g of caster sugar – add or reduce to personal taste – and simmering on a hob in 200ml of water. When the sugar has dissolved, add your gelatine according to the instructions on the packet. For gelatine leaves, around 4 leaves will do. Remember that once the syrup is completely combined, you will need to wait until it is completely cool before you can pour it on to your cheesecake to set, otherwise you will disturb the layer of cream. The final touch is to leave your cheesecake overnight to set. Finding a place to rest your drinks during a picnic can prove to a problem, but you can put a stop to this by using a wooden board like a cheese platter to use as a communal coaster. On a similar note, lap trays can also be used for similar functions during your picnic. For a more decorative touch, a bouquet of flowers will create that perfect spring feeling that everything is coming into bloom. And there you have it, the ultimate British spring picnic. We hope that one of our sandwich ideas takes your fancy and that you have a fun time trying out making a tasty cheesecake. We look forward to seeing you enjoy your picnics at our caravan park in Lancashire. This entry was posted in Recipes, What to Do. Bookmark the permalink.